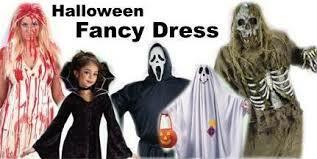 When searching for Halloween fancy dress, there are many costumes to take into consideration. Some are very popular whereas others haven’t been chosen often before but should really be worn by as many people as possible. Here are some of the best fancy dress ideas for Halloween. The Ghost Face fancy dress costume, which was inspired by the Scream movies, is still very scary nearly twenty years after the first film was released. With a creepy mask and long black clothes, it is very difficult not to say ‘hello Sidney’ when seeing this costume. As it doesn’t require many accessories apart from a mask, the Ghost Face costume is reasonably priced. When looking for an affordable costume idea, choose Ghost Face. It can be very easy to dress as a zombie. By putting fake blood on clothes which have been owned for a while, a costume is complete. An online fancy dress retailer might have many tubes of white face paint. By also putting fake blood on cheeks and the forehead, a zombie outfit is therefore created. An online retailer might also have an entire zombie outfit which doesn’t require any modifications. This is because it can be worn as soon as packaging has been removed. Satan is a great idea for Halloween fancy dress. A Devil costume can be chosen by both men and women of all ages. A devil costume for a woman can consist of a short skirt and red knee high boots whereas a costume for a man normally has a full length red jumpsuit and horns. Children could wear a devil outfit which has horns and a tail. Although the Grim Reaper has been parodied in cartoons and movies, it is still a scary costume. With a horrific mask and a long scythe, it is instantly recognisable. It is also very comfortable because it has long, flowing robes. There are many types of Dracula costumes. Some are inspired by the Twilight franchise but, for a truly authentic Dracula costume, choose one which is similar to what Christopher Lee and Bela Lugosi wore. With an iconic black robe, a white shirt and tuxedo vest, this particular Dracula costume is very popular. Halloween is a great opportunity for women to dress as witches. Witch costumes which are green, black and purple can be purchased and also ones which are red. Some witch costumes come with a broomstick but this accessory might have to be bought separately. As with the aforementioned Halloween fancy dress ideas, they are instantly recognisable. If their favourite film is Hocus Pocus, a group of friends could dress as witches together. For a completely different fancy dress costume, choose a nun outfit. A comfortable costume, it can be worn at a party. A headpiece and a cross are provided as is a long black robe. The only item which isn’t provided in a nun costume is black shoes but a pair of pumps could be worn. Reasonably priced, a nun is a great idea for Halloween fancy dress, especially as it is available in a variety of sizes. It doesn’t take long to put on either. Mary Yohanan is a professional writer. She writes many articles as on fantastic Halloween Fancy Dress ideas. For more fantastic Halloween Fancy Dress ideas visit Character Fancy Dress. They have 1000’s of costume ideas for every occasion or Fancy dress event.